For additional information and reservations, please contact the hotels directly. The rates informed on this page are only references, because all of them are subject to changes without previous notice. In order to benefit from the rates indicated below, please inform the event's promo code – ICANN Meeting São Paulo 2006 – when you provide your reservation. These rates are only for reservations by phone or e-mail. Note: This is a list with some suggestions of hotels near to the event. CGI.br doesn't assume any responsibility for any trouble raised during the relationship with the hotels. 400 accommodations, divided between apartments and suites with in-room workstations, cable TV, individual safes, telephone with direct dialing, 24 hrs room-service, laundry and concierge. Voltage: 110V in the room and 220V in the bathroom. In order to benefit from the rates indicated above, please inform the event's promo code – ICANN Meeting São Paulo 2006 – when you provide your reservation. NOTE: The amount in Reais (R$) will be converted into the Tourism Exchange (Purchase) value at the check-in for those who will pay in USD$. Add 5% ISS over hotel rates + tourism fee of R$1,20 by day/apartment. 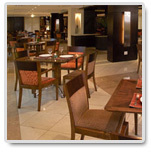 The hotel rates include breakfast in the restaurant. The Grand Hyatt São Paulo offers 470 roomy apartments and suites with natural light and exquisite design using elements of the Brazilian culture. Transport to the airports, dedicated staff, prepared to serve you in different languages, manager, technology concierge, laundry and valet parking service available 24 hrs, shoe shine service during the night (courtesy), in-room safes, umbrellas, smoke-free apartments, express check-out, nursery or doctor available, babysitter service, the jewelry store Antonio Bernardes, city tour, special check-in for conventions, parking place for 600 cars, concierge. Voltage: 220V. 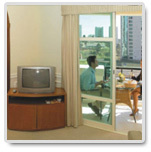 Add 5% ISS over hotel rates + tourism fee of R$6.00 by day/apartment. The rates DO NOT include breakfast. 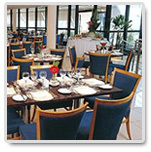 Breakfast buffet is served at the Grand Café Restaurant - R$47.00 per person. Distance from event venue: 8,1 km. - Don't charge service fees. - Tourism fee of R$1,20 by day/apartment. 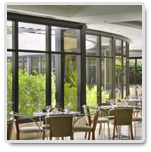 - Early check in and late check out: May be negotiated according to the Hotel's availability. Distance from event venue: 8,3 km. 400 very comfortable apartments with hall and working desk, air conditioning, mini-bar and digital safe, TV with international channels, fast Internet connection, smoke-free floors, and apartments for physically challenged guests. Valet service. Voltage: 110V. Rates include breakfast in the restaurant, and one parking place per apartment. Add 5% ISS over hotel rates + tourism fee of R$1,.20 by day/apartment. 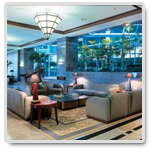 Check-in/out: Daily rates begin at 12:00 and end at 12:00 hrs. Distance from event venue: 5,8 km. 170 apartments with air conditioning, cable TV, digital safe, mini-bar, two phone lines per apartment and Internet access. 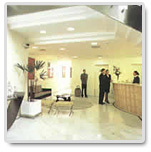 The hotel offers apartments for physically challenged guests, smoke-free floors and parking place. Voltage: 110V. Distance from event venue: 4,5 km. 380 comfortable apartments, central air conditioning, cable TV, two telephone lines, mini bar, digital safe and computer connection. The Junior Suite offers hall with working desk and 2 bathrooms. The Executive Suite offers two living rooms, working desk, two TVs, bar and 2 bathrooms. 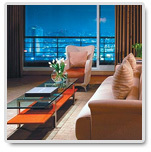 Executive Suites – customized service for the Suite guests, with reception and breakfast at their floor. Voltage: 220V. The rates include breakfast in the restaurant, and one parking place per apartment. Distance from event venue: 4,8 km. 214 rooms, smoke-free floors, hair dryer, air conditioning, cable TV, Internet access (extra charged), radio clock, mini bar, electronic safe, 24 hrs room service. Voltage: 110V. Add 5% ISS over hotel rates + tourism fee of R$6,.00 by day/apartment. 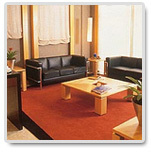 Daily rates include breakfast in the Goya Restaurant or in the 15th floor for Royal Service apartments. Parking place not included - special rates for guests: R$22,00/day. Distance from event venue: 9 km. 28m² apartments equipped with mini-kitchen, satellite TV, electronic safes, sprinklers and smoke detectors, apartments with 2 telephone lines, easy access over the Marginal Pinheiros, business center, sauna and sun deck, fitness center and game room. Voltage: 110V. Add 5% ISS over hotel rates + tourism fee of R$1.20 by day/apartment. Daily rates include breakfast in the restaurant and one parking place. Check-in/out: Daily rates begin at 12:00 and end at 12:00. Distance from event venue: 4,3 km.